It cannot be over-emphasized that if the artist is kept at the proper temperature and humidity and correctly fed, and the cages are carefully cleaned out daily, the art disease is unlikely to recur. It seems very probably that the art virus is present at all times, but can only become rampant and cause damage when the artists are in a debilitated condition from some other cause. When any cage that has contained this disease falls empty, particular attention should be given to sterilising it. Tucked away in the spare pages of history, between the articles on Important People and Major Events, lie countless stories of dreamers and eccentrics, amateur scientists with cockamamie theories, inventors with impossible concoctions, and mediocre artists blinded by their own talent. Enter the Rowley family of Rowley Hall, who manage to embody all of these attributes and so much more. The Rowleys, who might be described as something akin to The Lunar Society seen through the twisted vision of Edward Gorey, are the invention of artist, writer, and publisher Andrew Lanyon. Rowley Hall, set in the artistic community of St. Ives, Cornwall, now sits empty and abandoned as the result of a restrictive clause in Vera’s will. But once upon a time it echoed with activity. Mervyn Rowley is described as a “sculptor, author and accountant,” Walter as “a retired vivisectionist,” and Vera (Walter’s niece) as “a geologist and psychoanalyst.” Many of the family’s amateur experiments were in the area of art and reflect an obsession for explaining the very nature of art. 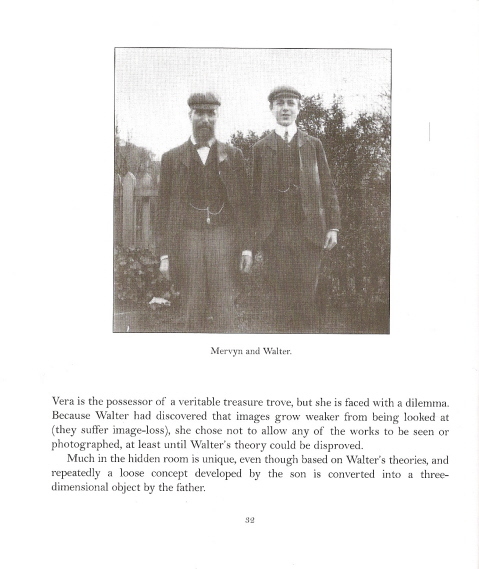 Mervyn’s boundless curiosity, for example, led him to experiment with weighing himself “whilst occupied with a variety of different thoughts” to comprehend the effects of gravity on different types of ideas. 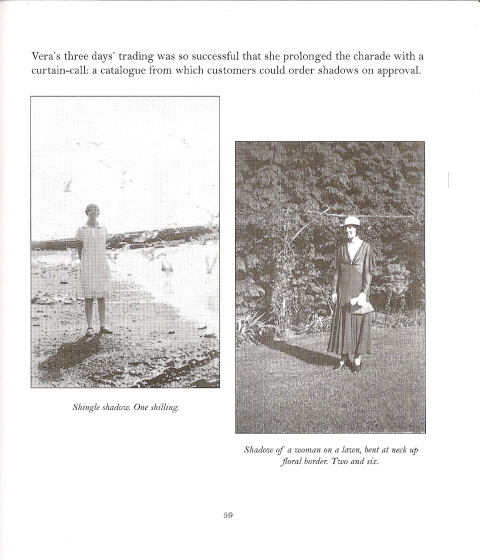 Walter managed to discover that if spun at a certain speed, “a plein air painter will for a time produce entirely Cubist works.” He also made the break-through discovery that “images grow weaker from being looked at (they suffer image-loss).” Vera, for her part, briefly set up a shop in St. Ives where she sold only shadows. This could all easily dismissed as a fun but forgettable whimsey were it not for the pleasure of Lanyon’s prose and the gems of perverse genius that can be found on practically any page. Lanyon’s enthusiastic, gullible narrator is more or less the typical amateur writer who decides to turn out a family history, complete with clippings and old photographs pasted on the page. The endless stream of unlikely stories and quirky theories that spew out of the narrator’s pen could inspire countless new artistic projects. 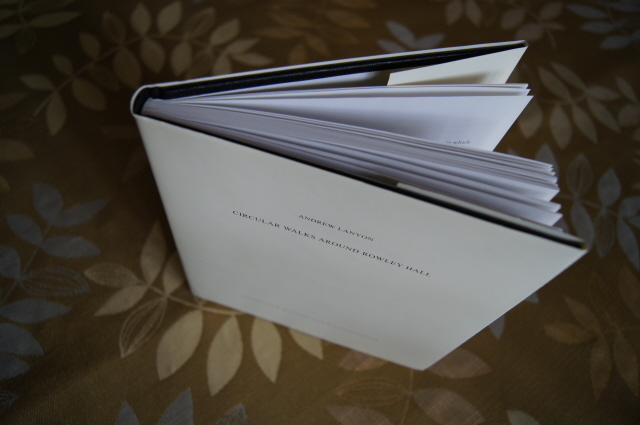 The total history of the Rowleys can only be found spread across a dozen or so limited edition, letterpress-printed artist’s books issued by Lanyon himself since 1987. My introduction to Lanyon and the Rowleys has been through the invaluable efforts of Alastair Brotchie and London’s Atlas Press, who, in 2006, issued Circular Walks Around Rowley Hall, a “subjective and biased” selection and re-editing that Brotchie distilled from the various Rowley books. (Brotchie says that the author’s response to his surgery was “exemplary.” When you are ready to shake the cobwebs off your normal reading habits, get one of the many reinvigorating titles from Atlas Press.